Do you need to keep an accurate record of your international travel? 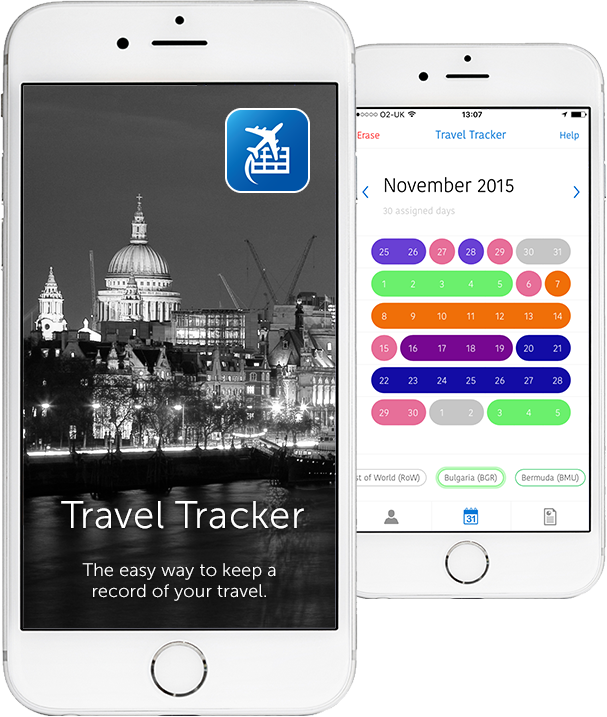 Travel Tracker is an easy and quick way to keep a record of day-to-day international travel over months and years. Every year busy business men and women spend dreaded hours trawling their diaries and travel receipts to report on their travel. Initially built as a one-off solution for an existing client, the tried and tested success of our Travel Tracker persuaded us to develop this app. On this screen you will be asked to complete a few details about yourself. 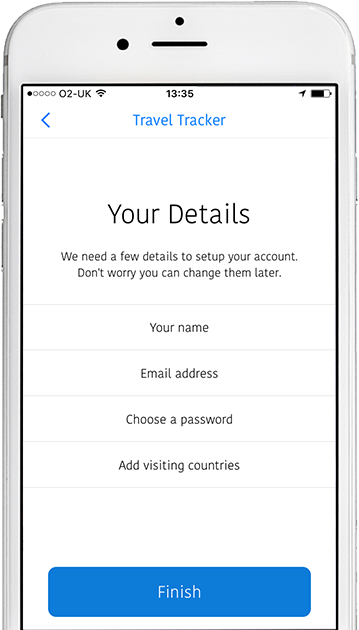 Your account will be set up immediately so you can start recording your travel straight away. Adding countries is easy, just click on the "Add Countries" page and select from the drop down list. If required you can also add the number of allowance days you have for each country and select the Tax year start date. Entering your travel information is simple. 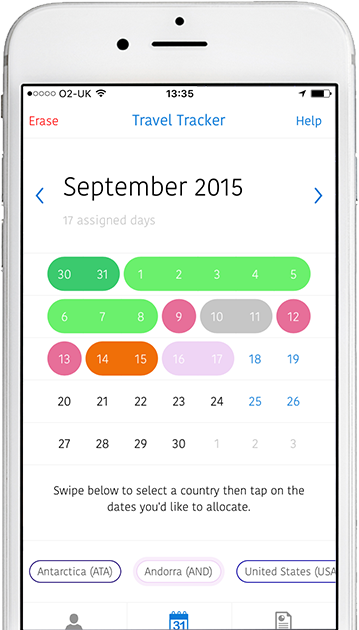 Just swipe to the county you wish to add, then to select the days by touching the day on the calendar. If you have multiple days you can just swipe across the screen. The report screen allows you to quickly check your usage and allowances. First select a start date for the year of travel you want to view. 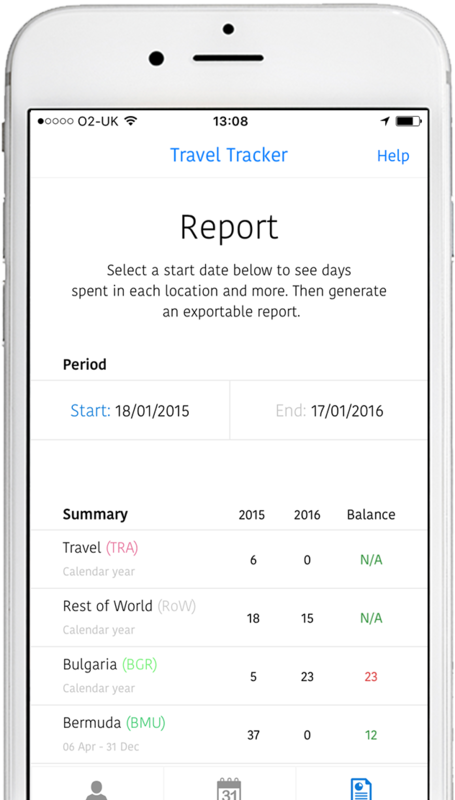 The report shows the amount of days located in each country plus how many days you have used, if applicable, of your allowance. The balance column shows your country allowance balance as of the report end date. You can select either a PDF or CSV format and send them via email or print directly.